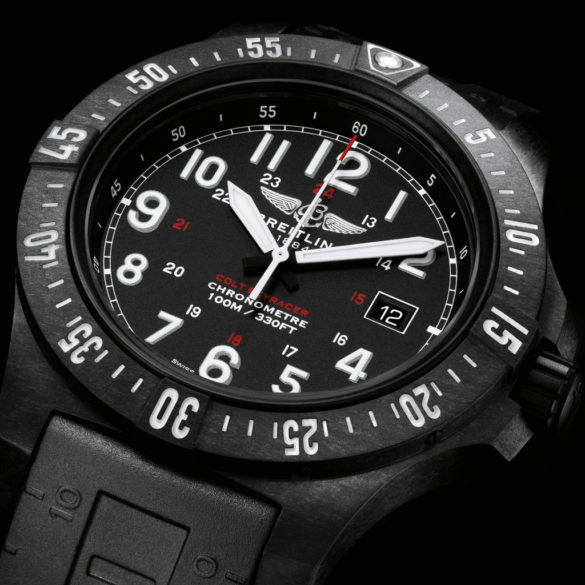 This new Breitling Colt Skyracer is an ultralight pilot watch featuring a quartz movement with 8 years of battery life. 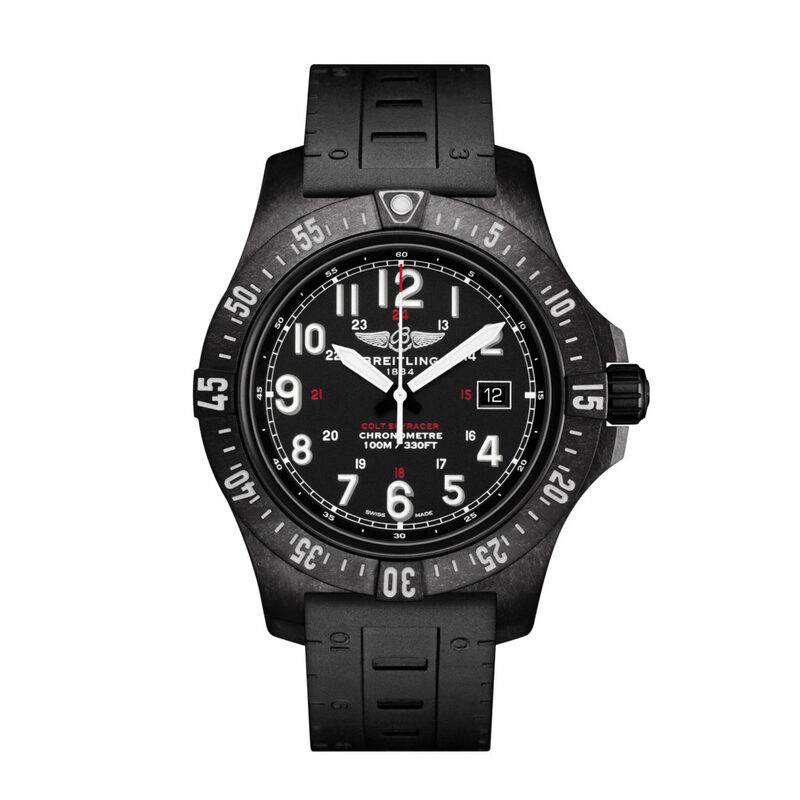 It is named after the plane flying under Breitling colors in the Red Bull Air Race: the Skyracer. Check the video below the specs as it is a pretty cool plane. The case is made of Breitlight, a material developed by or for Breitling. It is basically a polymer (yes, plastic) with composite fibers to make it very light. According to Breitling it is 3.3 times lighter than titanium and 5.8 times lighter than steel. 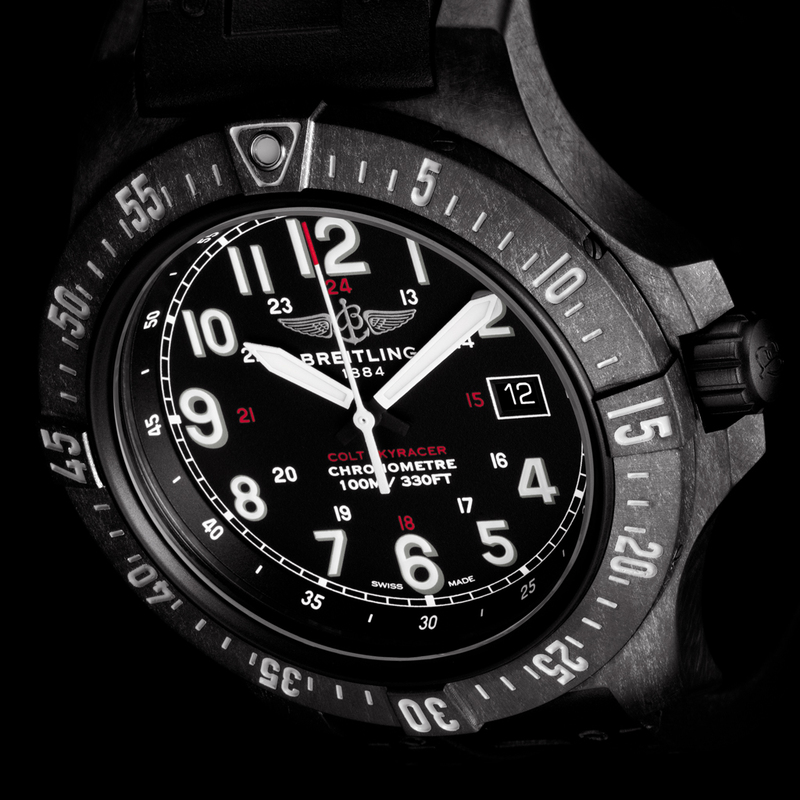 Yet it is significantly harder, resistance to scratches, traction and corrosion. It is also anti-magnetic, anti-allergenic and it has a warmer ‘touch’ than metal. 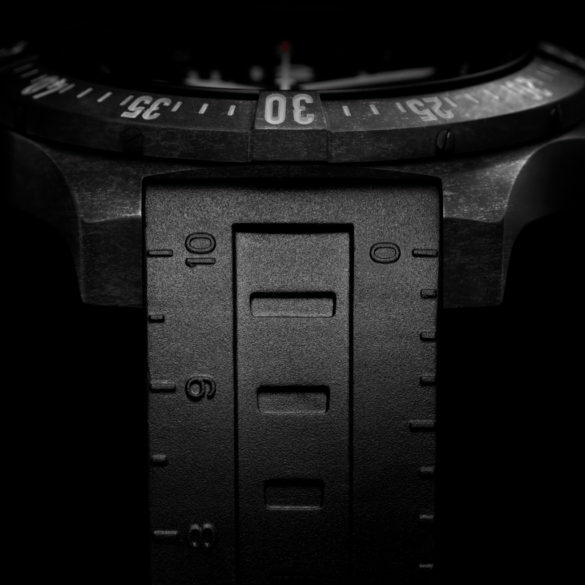 It looks a bit like carbon, which is nice. 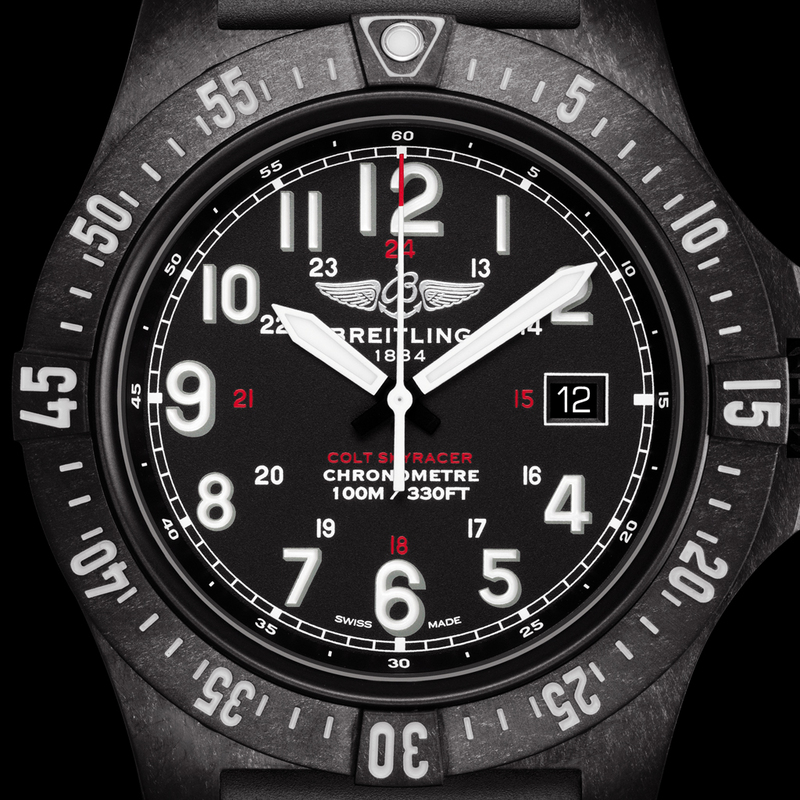 The 45-millimeter case houses Breitlings caliber 74. It is a thermo-compensated SuperQuartz movement chronometer-certified by the COSC (the Swiss Official Chronometer Testing Institute).